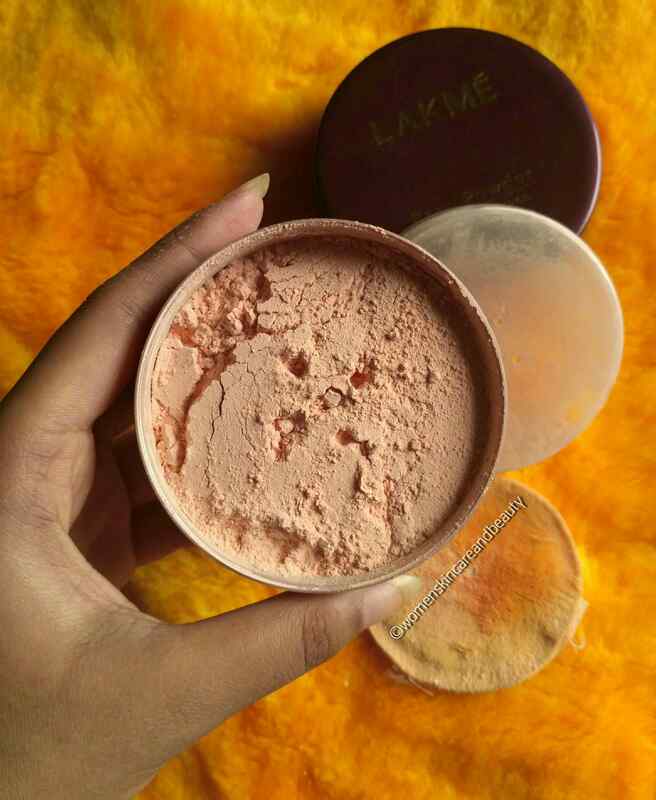 DESCRIPTION: Lakme Rose Powder, with Sunscreen. 02, Warm Pink. For wheatish to dusky skin. Face Powder. INGREDIENTS: Talc, zinc stearate, Titanium dioxide, cyclopentasiloxane, aluminium hydroxide, stearic acid, perfume, rosa damascena extract, cl 77491, cl 77492, cl 19140, cl 15850, phenoxy ethanol, butyl paraben, ethyl paraben, methyl paraben, propyl paraben. COST: INR 150 for 40g. The rose powder has a mild, pleasant smell that somewhat resembles the fragrance of roses.. 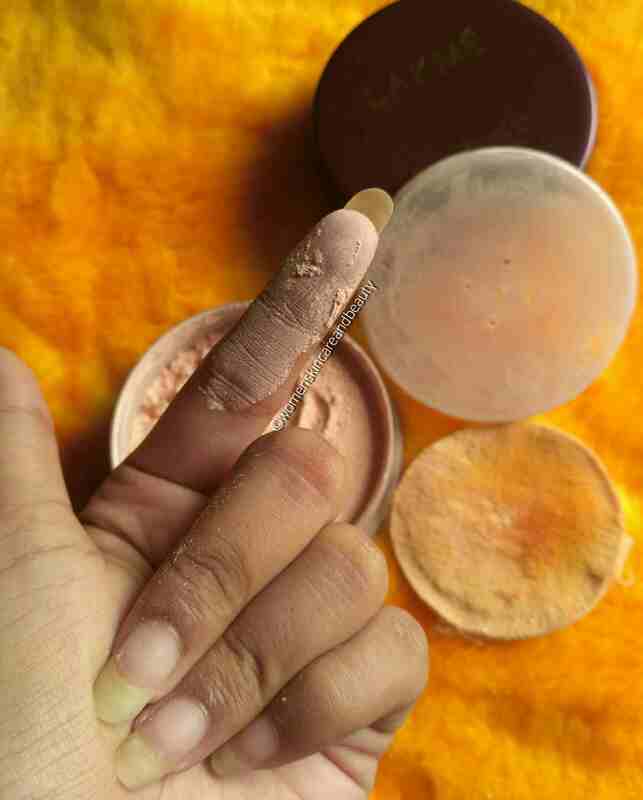 It has very fine texture and gets easily blended ​into the skin..
One can use it as a setting powder after makeup or just pat it over after applying the daily Sunscreen or moisturizer to achieve a shine free, matte look! 2. Suits a wide range of skin tones. 3. Available in 2 shades. 4. Blends easily and looks natural. 5. Gives slight coverage to uneven skin. 6. Goes well with or without makeup. 7. Has Sunscreen in it. 8. One tub lasts very long.. 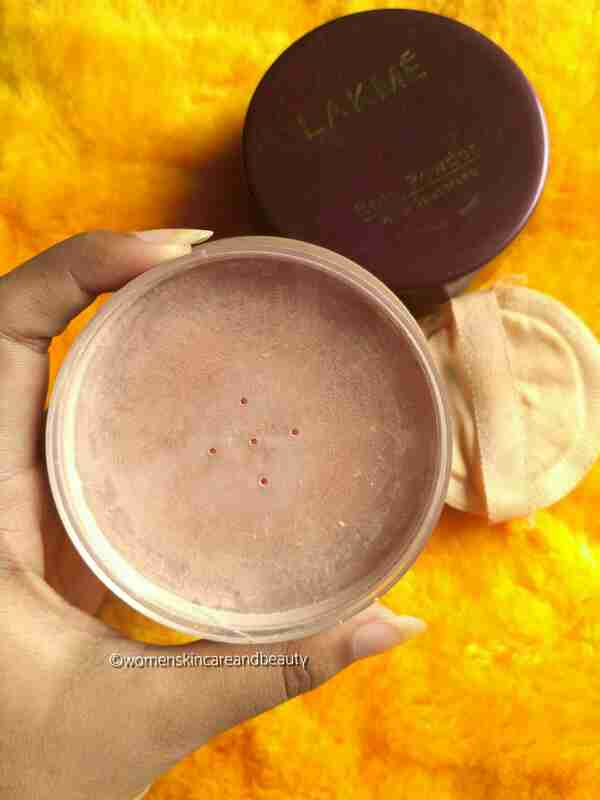 Although recently i am using lakme compact and quite like it. But after reading your review my next buy will be surely this rose powder bqz it has sunscreen as a plus point. Wow! This looks like a really great and promising product!? This one is my all this favorite bcoz very easy to use and it gives me very natural look. True.. it really gives a natural look! This is the product I was using during my college days.. It is affordable and great to start your makeup journey..
That’s true! It’s really affordable and good! Then you should try it out! It blends really well! I have been using this for over 5 years now and use it in my daily routine. I simply love the powder. I’ve always thought that this was actually rose in color and wouldn’t suit me. Guess I was wrong, it looks quite natural on the skin. This powder really looks promising though. Lakme has been constant in the brands I mostly use until today. 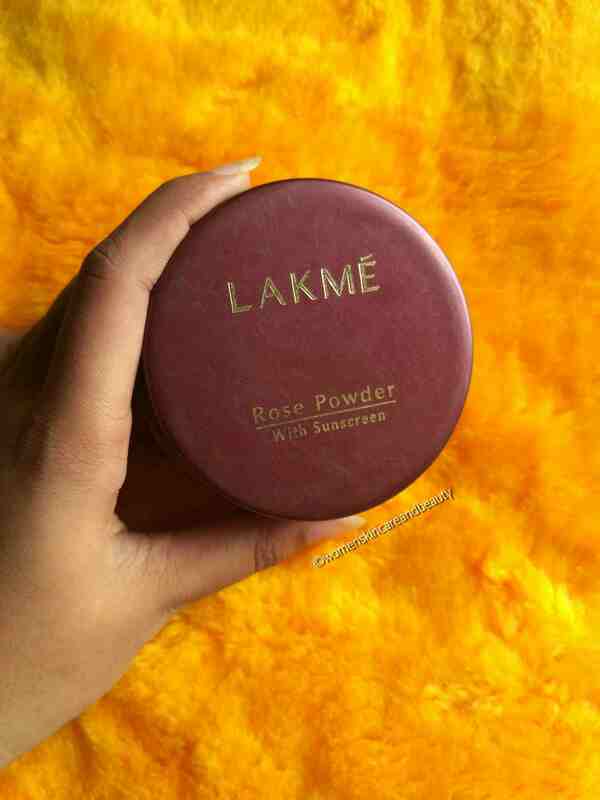 I don’t recall the last time I used Lakme Rose Powder – must have been ages. It’s nice to see despite all the new products this has still thrived. It has long been in the market. I have seen my mom using it and even I was gifted this by my mother in law. Its colour shade looks natural that can suit all skin tones. Looks nice compact powder. Looking to its shade i think it gives a little pinkish tone. Wow!! Seems like a great affordable product. I can still see a lot of Lakmé cosmetics in my mummy’s dresser. Such good brand. Even i have used it when i discovered the fabulous world of makeup. it does not give much coverage so can be used as a setting powder. I remember using this once during my skool days…amma got this for my dance competition… N post using this I got rashes 🙁 stull wen Eva I go to cosmetic shop I stare at this rose powder and amma hits on my head…. 😀 But ur review is really impressive.. May be I shld try this once again. .